When it comes to God's will, how can you be sure you're doing the right thing? Let's face it. Living a life of obedience to God can bring a lot of frustration, fear, and turmoil. There are times when we find ourselves at a place in our lives where we have to make a decision that requires more than just average faith--it takes guts. 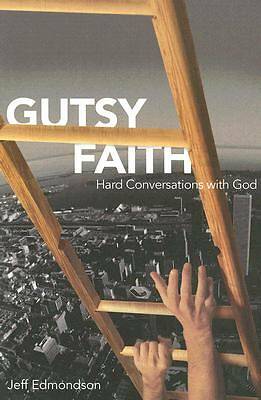 In Gutsy Faith, Jeff Edmondson challenges you to learn to ask God the right questions for the direction of your life and then have the guts to obey when His answers come. Edmondson takes you on a contemplative journey of self-discovery that begins with developing an authentic relationship with God. Gutsy Faith shows you the importance of getting to the place in your relationship with God where you are free and willing to ask the hard questions, shows you how to really hear God's voice in your life, and then challenges you to obey His calling, no matter how impossible it might seem.